Foam Eraser - 12 per carton. 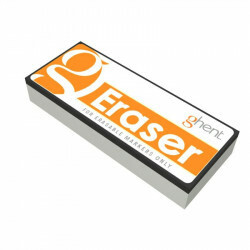 Ghent's Foam Eraser is specifically designed for dry erasable surfaces to give users a clean slate every time. Excellent value when budgets are tight. Foam Eraser - 12 per carton. Ghent's Foam Eraser is specifically designed for dry erasable surfaces to give users a clean slate every time. Excellent value when budgets are tight.are tight.